Some patients with traumatic brain injury secondary to a motor vehicle accident will recover to the point where they wish to drive again. It is the job of doctors and other health practitioners to make challenging decisions as to whether or not the individual should be able to drive again. In order to do this, doctors need to perform reliable psychometric testing batteries so that unreliable and unsafe drivers can be detected. 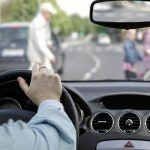 Some researchers have looked into five different driving-associated personality traits that predict whether or not a driver can resume driving after a traumatic brain injury. It also helps when evaluating the post-stroke patient who wants to drive again. About 178 patients who suffered from traumatic brain injury or stroke were evaluated for their ability to drive after their medical incident. Each participant took a standardized psychometric test battery and also took a specific standardized driving test. The two tests were combined to see how the individual fared in being able to drive again.